September 6, 2014 September 6, 2014 / C.S.G. 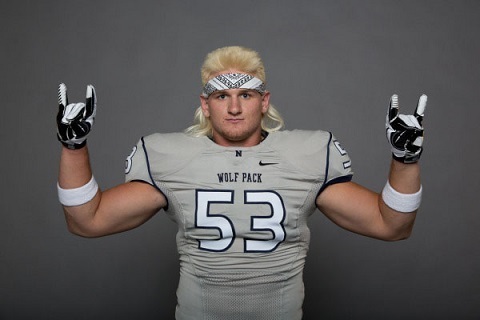 Meet Brock Hekking, Senior Defensive End for the Nevada Wolkpack. A first team All-Mountain West player in 2013, Brock is also a 2014 Preseason Walter Camp Award Watch-List player (College player of the year). 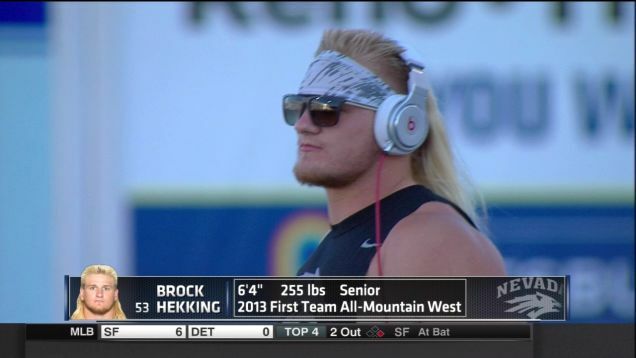 In addition to being a 6’4″, 255-pound NFL prospect, the man has the hair of a Unicorn and the style of the artist formerly known as Teen Wolf. 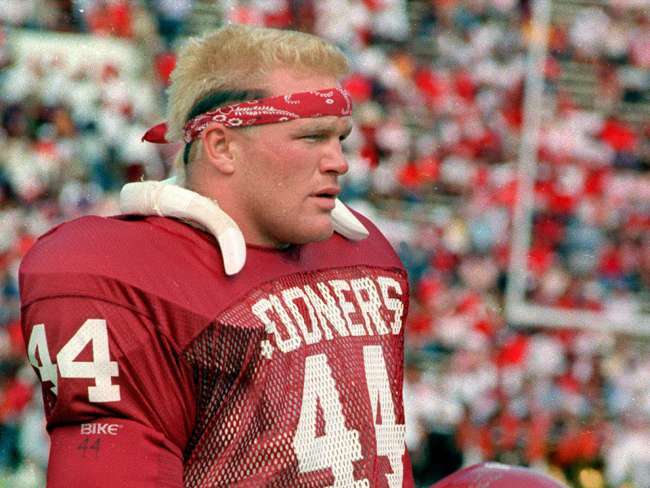 Brock brings a flare and a style to the college football field that no one has seen since, dare I say……..dare, dare!